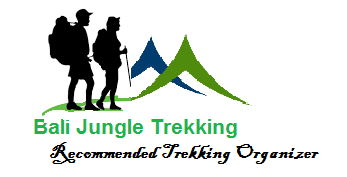 As a Professional Bali Trekking Organizer we also able to arrange Bali Trekking Tour in all over Bali Regency, and we have inspect the place directly. 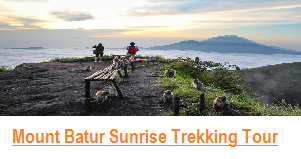 in this nice opportunity we would like to share little bit about Bali Regency and it’s trekking tours. Karangasem Regency become the site of biggest Temple in Bali,Besakih Temple, The Temple is visited by local residents as well as tourist. There is also a water park, Tirta Gangga Water Palace, surrounded by rice field, Rolling hills and crystal clear water. Taman Ujung Karamgasem is one of the main atraction in 10 hectare Karangasem made by three architects from Bai. The Netherlands,and China. 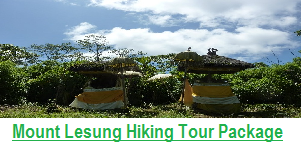 The highest mount in Bali located near by Besakih temple, named Mount Agung, this Mountain always be a choice for the Real Hiker who love Hard Adventure. 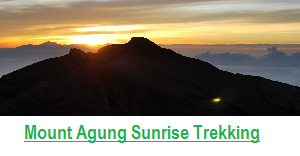 And here we can do Trekking to Mount Agung, the higest volcano in Bali. 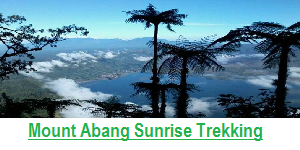 Buleleng is the largest area among nine dictricts and cities in Bali,almost 1/3 of the Bali main island.Sopme places that you will wish to visit are Lovina Beach where you can see dolphins,twin buyan and tamblingan lakes with their natural beauty youcan exploring by doing the Trekking or Canoeing. And the 35 meter high Gitgit waterfall. The uninhabited Menjangan Island is suitable for snorkeling and diving. The hundreds of years old Banjar sulfur hot spring is a unique and wonderful destination. 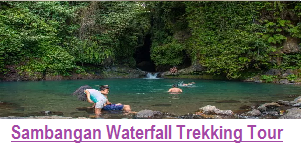 In Buleleng Regency we have 4 Trekking TOUR that you can do such as ; Bali Jungle Trekking, Bali Rice Field Trekking, Bali Waterfall Trekking, Like Munduk Waterfall Trekking, Sambangan Waterfall Trekking, and Sekumpul Waterfall Trekking and for more info about Bali Trekking . Jembrana is located in the west and numerous tourist area, Medewi beach, Rening Baluk and Pengeragoan, a museum of early humans, A ferry and shipping port that connects the island of java and Bali, can take you to West Bali National Park, a sanctuary for Starling ( Bali Birds-leucopsar rothchildi) which is protected by the Government. One –third of Klungkung regency ( 112,16 km) lies between the island of Bali and two thirds ( 202,84 km) more is the island of Nusa Penida, Nusa Lembongan and Nusa Ceningan where that three islands are suitable for water activities. Kerthagosa, is an ancient building complex erected during the reign of the first King of Klungkung. And there Goa Lawah Temple with many bats inside. Badung Regency includes Kuta and Nusa Dua. The several famous beach such as Kuta, Seminyak, Canggu, and Nusa Dua. Uluwatu Temple is located in the edge of the cliffs is also sweet attraction for tourist. Tanjung Benoa the place with a thousand kinds of water sports. Gianyar Regency include, Siyut, Suba, and many more beacutiful beaches. Many beautiful Temple which to Visit like Goa Gajah, Yeh Pulu Temple, Pusering Jagat Temple, Gunung Kawi Temple, and Tirta Empul Temple. 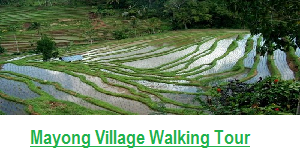 In the center of the city there is Ubud with lush green areas and rice fields of Tegalalang.Puri Agung Ubud is located in the heart of Ubud. It was the Ubud Kingdom government of past and now a center of culture and arts.Events are often held at the front of Puri.